The small garden at home can be the source of nature we need to switch off and unwind after a work day in the city. Unless you count with plenty of time and you are interested in gardering -you should be, it has many health benefits -, you don’t need to grab some garden tools and take over all the garden maintenance tasks by yourself. The proper maintenance of a garden requires time, so it is better to also count on professionals. There are many professional landscaper gardeners in Derby (Derbyshire) ready to look after your lawn. Their garden services go beyond grass cutting and the use of lawn fertilizer. Owning the best garden equipment, they carry every work needed to achieve beautiful landscapes. What can landscape gardeners do for my backyard? Most of the landscaping companies in Derby (Derbyshire) offer services to residential and commercial owners. These companies employ landscaping architects that can design the most awesome space for you. They take over the installation of irrigation systems, like rainbird irrigation systems and other sprinkler systems. They maintain and repair every element in your garden, from garden plants to the installation of new lawn, fighting erosion and providing your garden with good drainage systems. They carry out weed control tasks, like grass cutting and plagues prevention. They have a wide knowledge about design and will help you to choose the right outdoor furniture and garden ornaments. At Infoisinfo we always work hard to be able to provide you with the most useful information so that you can easily find the best products and services in Derby (Derbyshire) for you and your company. We know how much you care about your house and every detail to make it look beautiful either indoors or outdoors. 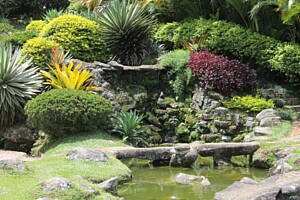 For this reason, we would like to help you to achieve a stunning landscape design which you enjoy with your loved ones. Thus, we have prepared a list of the best landscaping services in Derby (Derbyshire). Get in touch thanks to the contact details provided, such as phone numbers, websites, address and opening times. In addition, you can have a look at comments and valuations from other clients to get a better idea about the landscape architects.